Decoding the essence of being - understanding the brain and all its connections, that is Connectomics. Scientists from the Max Planck Institutes for Medical Research in Heidelberg, of Neurobiology in Martinsried near Munich, and the Massachusetts Institute of Technology (MIT) now made an important step in this direction: After analyzing data for four years, aided by about 200 undergraduate students, the scientists created a precise diagram of all nerve cells and their connections in a piece of mouse retina. 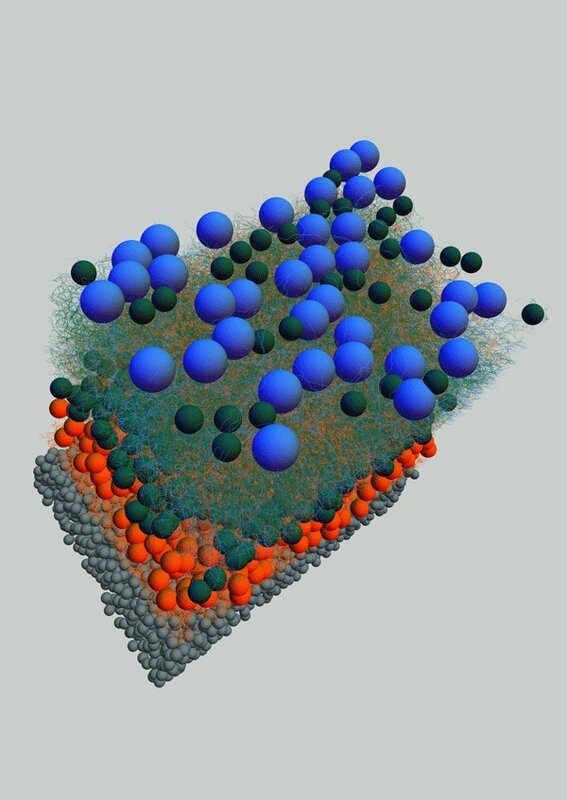 Although representing only a small fraction of the brain, this diagram already revealed a new cell type and circuit motifs that may help to understand the reactions of certain retinal cells. The human brain contains about 100 billion nerve cells, each of which is in contact with thousands of other cells. Scientists have long speculated that the essence of our being, our emotions, thoughts and memories, are all based on those contacts. How can we decode the mysteries hidden in these connections? "Even a tiny cube of brain tissue contains thousands of cells and many millions of connections", says Moritz Helmstaedter, first author of the study now published in Nature. Helmstaedter now leads his own research group at the Max Planck Institute of Neurobiology in Martinsried. Undeterred by those numbers, the neurobiologists accepted the challenge and now report a first step in this direction. Together with their American collaborators, the Max Planck researchers describe how they mapped all neurons and their connections in a piece of mouse retina. Even though the cube of retina was only a tenth of a millimetre on a side, it contained around 1000 neurons and more than half a million contacts between them. "We needed about a month to acquire the data and four years to analyse them" says Helmstaedter. The reason for this long time is the extensive analysis needed to extract the wiring from electron-microscope images of brain tissue. Extremely thin neuronal processes needed to be followed over long distances, without missing any of the multitudes of connections between them. Current computer algorithms are very useful in this process but often not reliable enough. Humans are thus still needed to make the decision whether a neuronal "wire" branches or not. In the current study it took 20,000 hours alone to make those decisions. To analyse an entire mouse brain in this way would require several billion hours of human attention. The retina does not merely transform images into electrical signals. It separates and filters the image information before transmitting it to the brain. The network of neurons in this small neurocomputer is accordingly complex. While mapping this network the scientists encountered a novel type of cell, belonging to the class of bipolar cells, but with an as yet unknown function. Motifs elsewhere in the connection diagram might explain why some of the retinal cells respond to a stimulus in the way they do. "These results show that we are on the right path, even though we analysed only about one tenth of a percent of the entire mouse retina", says Helmstaedter. He is convinced, as are many other neurobiologists, that mapping and decoding the connectome will revolutionize brain research. "Our goal is to map and understand the connectome of an entire mouse brain", says Winfried Denk, who is currently in the process of moving his laboratory from the Heidelberg institute to Martinsried. 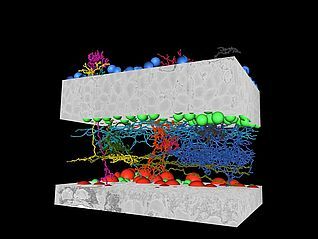 How realistic is such an ambitious goal, given that the analysis of a miniscule piece of retina already took four years? 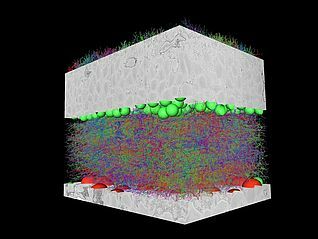 The entire brain is 200,000 times larger, but Denk doesn't seem too worried: "I'm confident that we can scale up the automated imaging process, the serial-block face electron microscopy, that we used for the piece of retina in such a way that we can image an entire mouse brain. Yet we may end up imaging continuously for a year or two." However, Denk also concedes that there is currently no realistic way to analyse the data. "Except, of course, someone gives us the tens of billions of dollars to pay for the necessary manpower." Helmstaedter has a different idea - he and his group are counting on help from the internet community: "We work on launching the online game Brainflight this year, which will allow internet users all over the world to fly along nerves cells while collecting points. Their choices of flight paths will help us to identify the real connections between neurons." Modern algorithms are often based on machine-learning and thus get better the more training data they are given. The brainflight-data will therefore also help with the development of enhanced data-analysis algorithms for the computer.